We support Office, PDF, CSV, and HTML files. 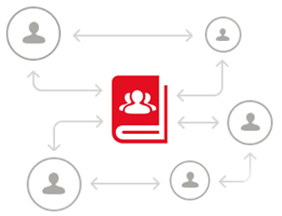 From our translation management system, you can import/export your translation memory and terms. 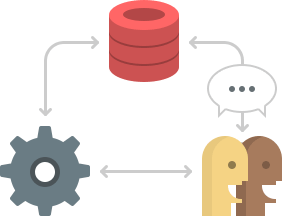 You can select the most context-appropriate translation engine for each translation document. Choose from Google Translate, Microsoft Translator, and Everyone's Translation@KI. A machine translation engine developed by Google Inc. It supports a diverse number of languages and provides world-class translation quality and speed. A translation engine developed by Microsoft Corporation. Of YarakuZen's supported languages, Mongolian, Myanmar, and Tagalog not available. This is a paid option that can only be used with our Company Plan. Everyone's translation@KI (commercial version) is developed by National Institute of Information and Communications Technology (NICT). You can choose from 3 engine types: General/Patent/IT. The engine supports Japanese, English, Chinese (Traditional / Simplified), and Korean. "Yaraku Dictionary", "Genius Dictionary" and "Financial Information English-Japanese Dictionary" can be referenced simultaneously. When editing a translation, YarakuZen automatically matches source text with dictionary data and shows related dictionary entries. You can check meanings, explanations, and example sentences of various terms. This saves you having to look up terms one by one from other resources, greatly increasing your productivity. Japanese-English open-source data can be used as a dictionary package. This is automatically included with YarakZen, and anyone can use it for free. Japanese-English & English-Japanese: Approximately 85,000 words. Number of example sentences: Approximately 100,000. 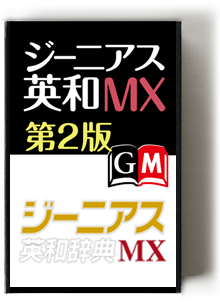 A newly revised version of the Daishukan Bookstore MX dictionary, now standard for digital dictionaries. 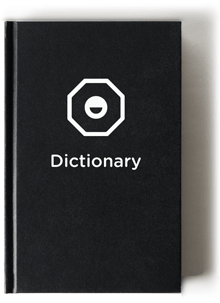 Based on the "Genius English-Japanese Dictionary", the description has been restructured with an emphasis on ease of viewing and usability on the display. English-Japanese Dictionary: About 89,000 words. Japanese-English Dictionary: About 69,000 words and 84,000 examples. Condenses necessary information at "reading" to help you understand the meaning quickly. For key words, includes examples to the conventional MX dictionary. Composite words and derivatives can be searched in the same way as core words. Necessary elements such as phonetic symbols, grammatical notes, sentence patterns, etc., also necessary for "reading" are displayed as they are in "Genius English-Japanese Dictionary 4th Edition". 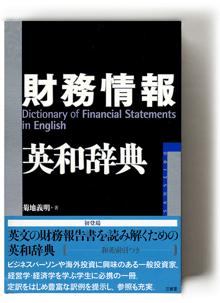 The first English-Japanese dictionary specializing in reading and writing English quarterly and annual financial reports. A must-have volume for business people and students studying business and economics. Presents a wide range of examples, including translations, and presents many real-life examples and sample uses. Present a wide range of examples, including translation, and enhance the references. Contains about 13,000 entries and includes many real examples and sample uses. In addition to automatic translation, you can also use various translation functions such as ordering, quotation, etc. Price is on a quotation basis. Depending on the estimated amount, it is also possible to charge by a fixed monthly fee. By installing our YarakuZen plugin in your Wordpress account, one button click will send your editing content (pages/posts) to YarakuZen for translation. Once you're done translating, the edited text will be sent back to your WordPress page at the push of a button. If you install the YarakuZen plug-in to your Concrete5 account, the contents you are editing (pages / posts) will be sent to YarakuZen with a single button and you will be able to translate and edit. In addition, the text will be sent back to WordPress with a single button after translation is complete.